The best pizza in town? It’s certainly up there. 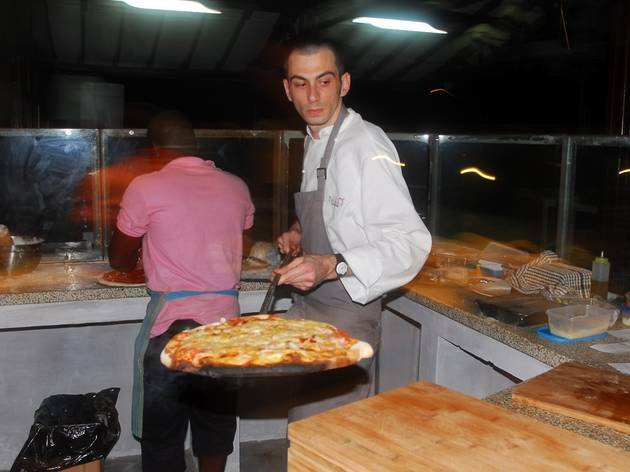 The wood-burning oven at Nicolino’s – not to mention a super-tasty crust – help the matter. It couldn’t have a better location either, occupying a breezy, open-sided spot in the pleasant grounds of the Alliance Française. Pizzas such as the Toscana with spicy sausage arrive on artfully rustic pieces of wood. There are also pastas and tasty grilled options – the fresh lobster and sticky ribs are our favourites. Open 7am-10.30pm Mon-Fri; noon-10.30pm Sun. Loved the pizzas!!!! They are simply the best. I also like the home made pasta and their new grill menu. Nicolino has a lot to offer in a simple and casual environment.